As a teenager, there was nothing more important than having skin that was bronzed from the sun. Growing up in Florida, we spent every weekend we could outdoors. If we weren’t at the lake, we were headed to the beach. In between weekends on the water, we couldn’t take the risk of losing our bronzed skin, so we would go to the tanning salons to maintain any coloring that might be lost in the five days during the week. Sadly, I admit that there was a time that I slathered baby oil on and sun bathed on my roof…because at the age of 14, it makes sense to be 15 feet closer to the sun. I guess our thinking was that perhaps it enhances the glow? At that age, we didn’t consider the repercussions or long term effects the sun would have on our skin. My respect for the sun came at the age of 23. I had my first sign of sun damage at that age. It wasn’t a dark spot on my face. It wasn’t a wrinkle. It was skin cancer. I had recently graduated from college and was working at my first job as an RN at Shands UF. 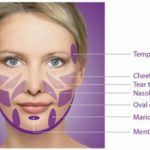 Being recently engaged, I decided to see a dermatologist for the treatment of mild acne. I wanted to have a glow on my wedding day. At the last second of my visit, the PA asked me if I had any other questions. On a whim, I said, “Well, there is a spot under my eye that I’ve had for several months, and it doesn’t seem to be going away.” She took one look and suggested a biopsy. I began to panic. What?! A biopsy?! I’m here for acne. I’m not old enough for cancer. Two weeks later, the biopsy confirmed that I had a basal cell carcinoma. Thanks to an excellent MOHS surgeon at Gainesville Dermatology, Dr. Keith Whitmer, I have a nearly invisible scar under my eye but it is a faint and daily reminder of the potency of the sun. After the diagnosis of skin cancer at such a young age, my entire perspective of the sun has changed. Although I can appreciate the importance of Vitamin D from the sun, I now choose to get Vitamin D from a vitamin capsule instead of from direct sunlight. I’m also an avid sunscreen user and slather it (rather than baby oil these days) all over my kids before they head out into the sun. It is now believed that the majority of sun damage is done before a child reaches the age of 18. I now spend every day helping clients to correct sun damage. Although there are a lot of options in my field to correct damage from the sun, I emphasize the importance of prevention of future damage. It’s never too late to prevent, and I have a new found obsession with sunscreen. Be sure to look for a sunscreen with chemical protection (chemicals that block the sun’s rays) AND physical protection (zinc oxide and titanium dioxide are examples of physical blockers). The sunscreens sold in our office offer BOTH chemical and physical blocks. When buying sunscreens, look for a BROAD SPECTRUM sunscreen. It will be labeled on the front of your sunscreen. This means that your sunscreen blocks UVA and UVB rays. Both UVA and UVB rays can cause damage to your skin in the form of dark spots, wrinkles, and even cancer. Do you find it difficult to decide which SPF to buy? Certainly if 30 is good, 100 must be better, right? SPF 15 blocks 95% of the sun’s rays, SPF 30 blocks 97%, and SPF 50 blocks 98%. Basically, if you use an SPF of at least 30, you are blocking the majority of the sun’s rays. My favorite SkinMedica sunscreen is the Total Defense + Repair SPF 34. Not only does it offer physical and chemical blocks, but the Total Defense + Repair is also full of antioxidants and helps to rejuvenate the skin. I LOVE this sunblock for my patients with more mature skin. I also love this sunscreen for patients that suffer from melasma because avoiding the sun is critical in treating melasma. 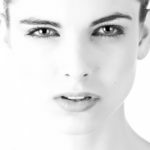 Newer research also suggests that antioxidants are critical in treating melasma. This sunscreen retails for $65. OBAGI’s MINERAL Broad Spectrum SPF 50 is the newest sunblock to hit the market. This sunblock has no chemicals. It’s a mineral based sunblock. It has a blend of 2 physical blocks: zinc oxide and titanium dioxide. It’s always a great feeling to avoid chemicals as we constantly exposed to chemicals on a daily basis. It’s also water resistant for up to 40 minutes. This sunscreen retails for $50. My personal favorite sunscreen is OBAGI’s Sun Shield Broad Spectrum SPF 50. The zinc oxide is micronized so there is no need to be concerned with a white pasty look after applying it. This sunscreen is great for the avid outdoors person. It’s also perfect for an oily skin as it leaves a matte finish. It is non-comedogenic (meaning it does not block pores.) This sunscreen retails for $50. 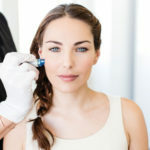 Although we are living in a time where non-surgical options for skin rejuvenation are widely available, don’t underestimate the power of prevention. Vitamin D is very important…and can be purchased in the form of a capsule!